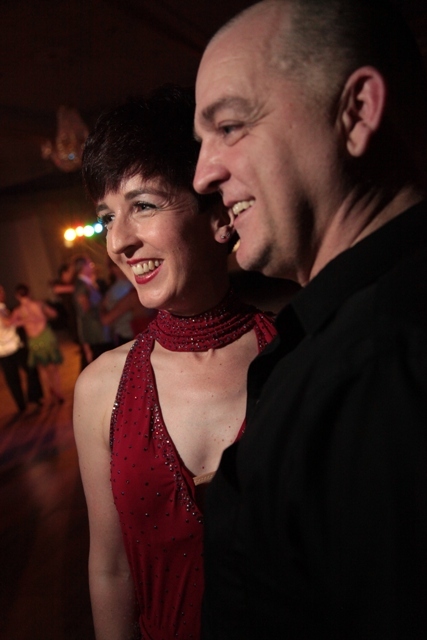 We want to build your confidence and comfort on the dance floor by making sure you enjoy dancing as much as we do. We are passionate about dance and eager to share that passion! We love to help beginners progress from their first steps to having fun at a social dance or wowing family and friends at a special event. Both of us are dancesport athlete members of USA Dance Greater Macon Chapter 6059 and proud to represent the chapter at competitions around the southeast. We train with Eddie Ares of Academy Ballroom in Atlanta and have taken workshops from top competitors including Pasha Kovalev (So You Think You Can Dance) and Tony Dovolani (Dancing With the Stars). We compete at the Bronze and Silver levels in American Smooth and American Rhythm styles. 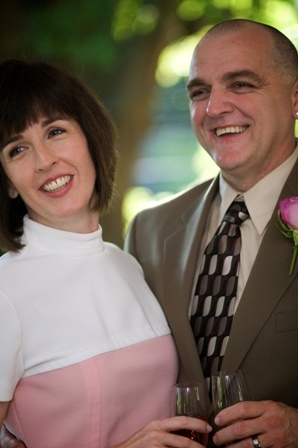 The dances we teach include: waltz, tango, foxtrot, cha-cha, rumba, and East Coast swing. Daniel Boudreault has been dancing since he was a teenager; he is a former board member of USA Dance Greater Macon Chapter 6059. He is the winner of the People’s Choice award at Dancing Stars of Central Georgia 2012 with his star partner Ashley Copelan. Laura Thomason studied ballet and jazz from grade school through college, began figure skating in her late 20s, and took up ballroom dancing in 2006. She continues to train in ballet (with Jane Madison) and modern dance (with Jessica Hardman) as well as ballroom. With her star partner Dean Copelan, she won the People’s Choice award at Dancing Stars of Central Georgia 2014. Our favorite dance so far is the cha-cha we performed at our wedding reception in September 2008. I would like to see if you are available for some dance lessons for my fiancé and I. We are getting married March 29, 2014 and would like to have some lessons before then. Please drop me a note if you are available.